Cost: €5 to walk the entire way up, €7 to ride the elevator part way, then walk up the rest of the way. 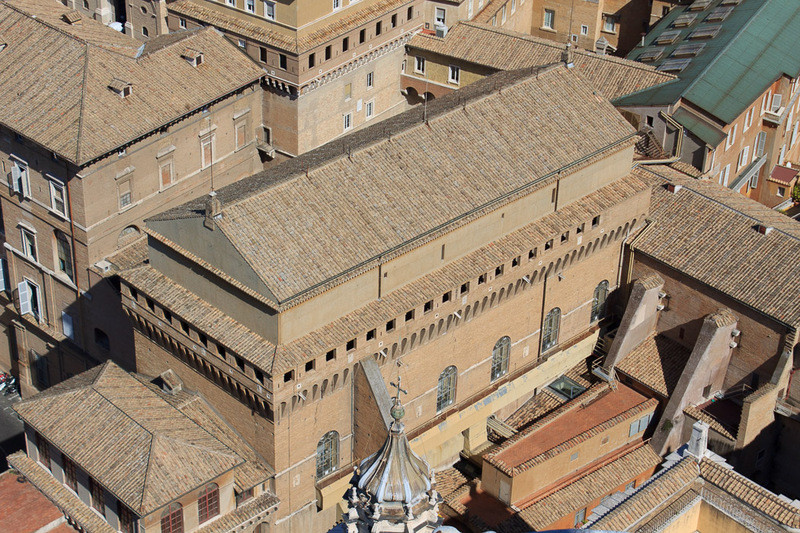 Take either the elevator (€7) or 231 stairs (€5) to the roof level of St. Peter's Basilica. 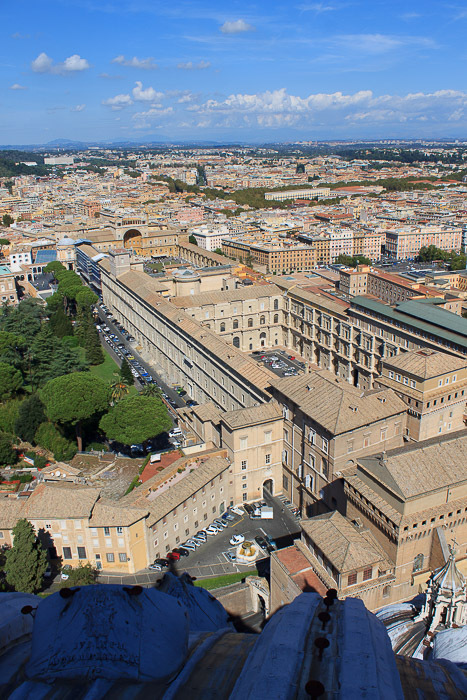 I found it well worth it to pay the extra €2 for the elevator, because from the roof level to the top of the dome is another 323 stairs, and there's no alternative there except to walk up the steps. 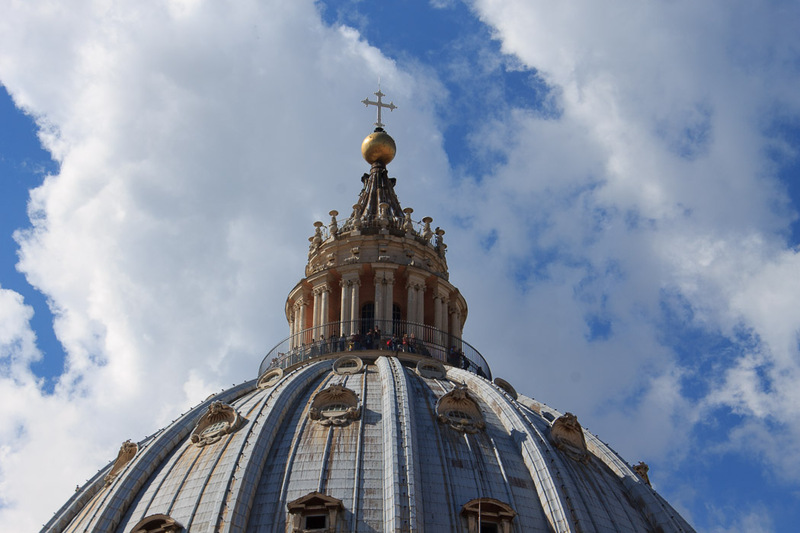 The entrance to the dome climb is just outside the basilica on the north side. 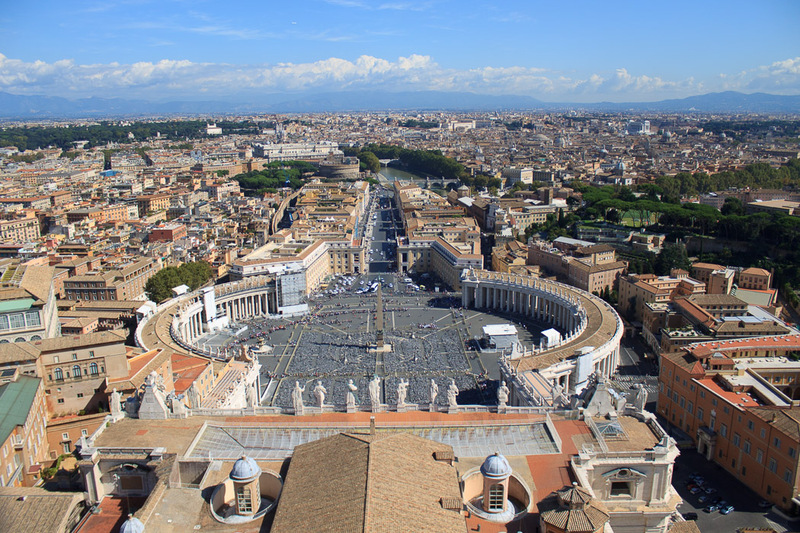 Even if you don't want to walk up those 323 steps to the top of the dome, the view from the level at the top of the elevator ride is spectacular. The elevator lets you off at the base of the dome, on the inside. You walk around the inside of the dome to get to a doorway that leads out onto the roof, where it is a short walk back into the dome to the stairway to the top. 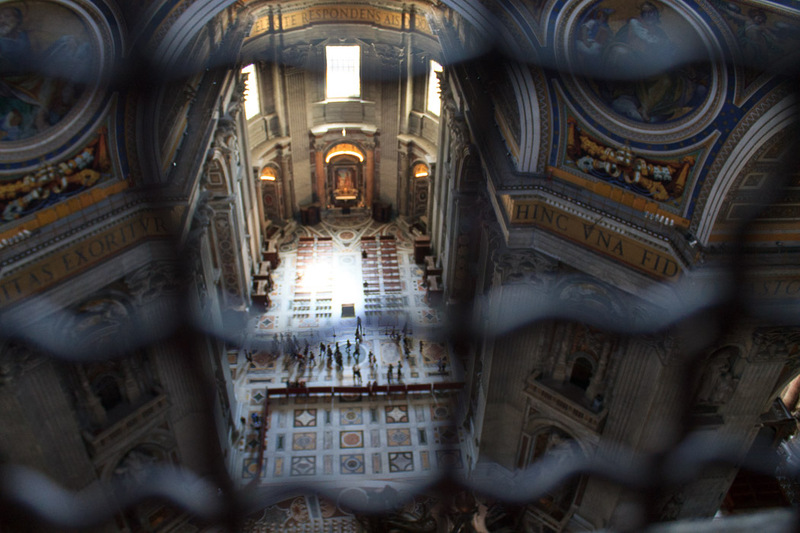 But meanwhile from that ring on the dome you have a spectacular view of the church (1st photo below), looking down onto Bernini's baldacchino, the people down below, the mosaics on the dome (2nd photo below), and the huge letters around the inside of the dome. Unfortunately, 5-foot-tall fencing ruins pictures down into the church since my lens is wider than the openings in the fence. 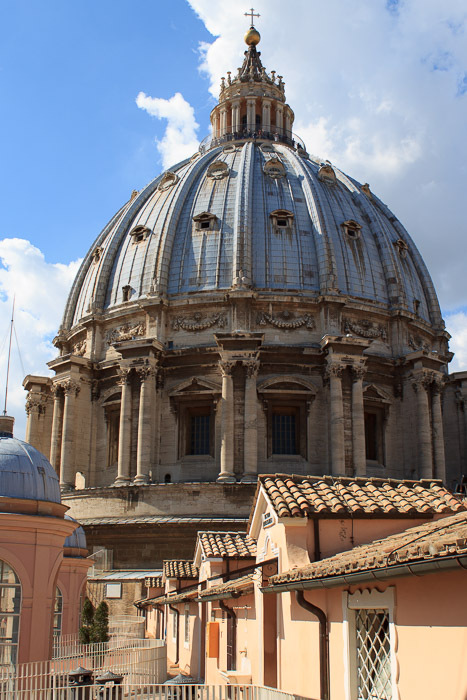 See all St. Peter's Dome Walk photos. 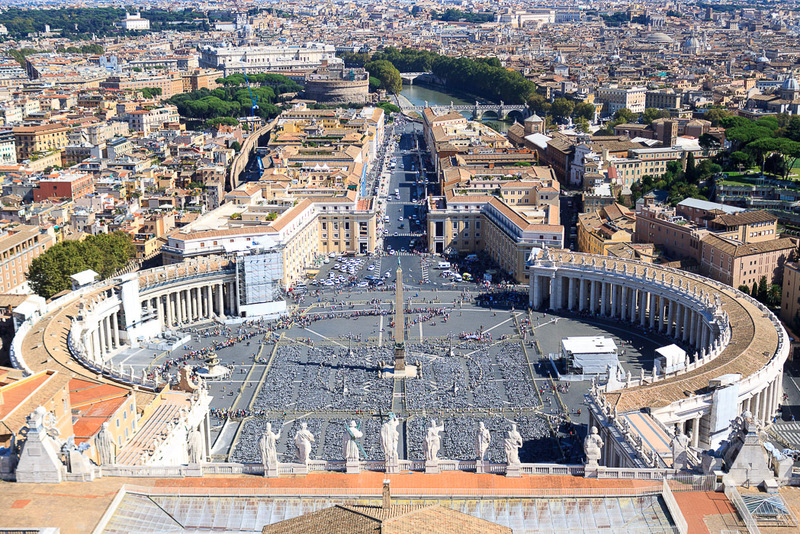 From the roof of St. Peter's Basilica, you can get a decent view of St. Peter's Square and Rome in general. 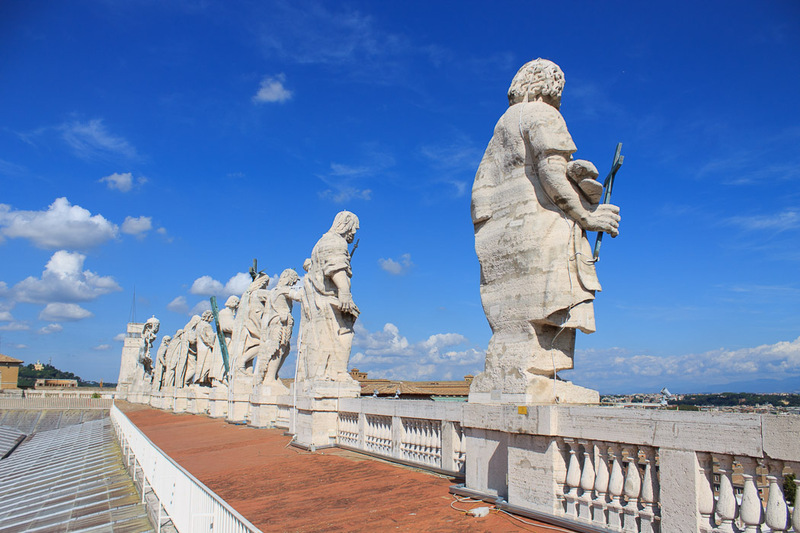 But for the real spectacular views, you need to walk up the 323 steps to the top of the dome. 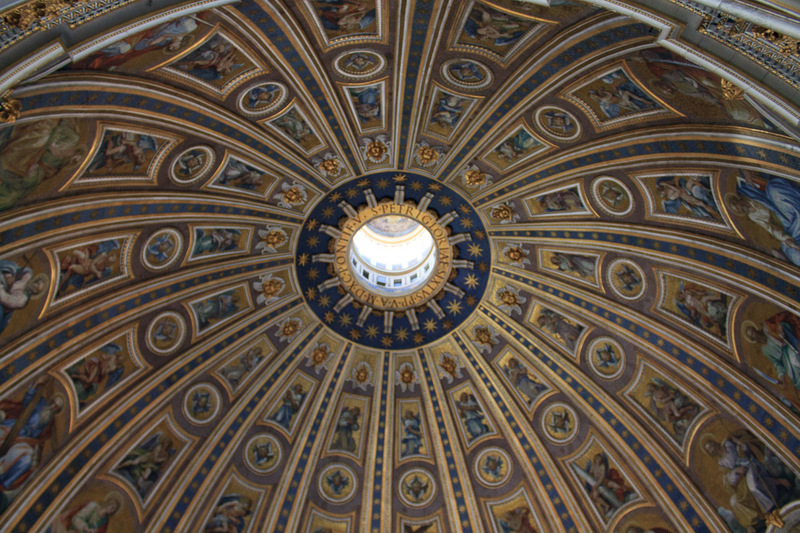 The spiral staircase winds between the inner and outer shells of the dome; the walls surrounding you are curved -- the outer one curves inward and the inner wall curves away from you. 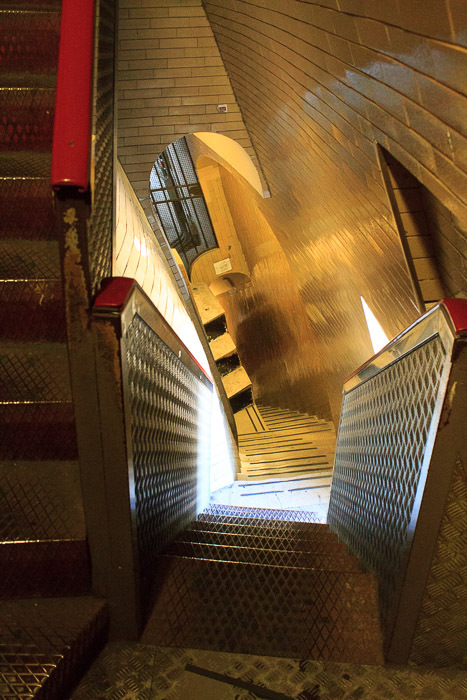 The spiral staircase has a small window every once in a while, and it's a hot sweaty and difficult 15-minute walk to the top. But the views from the top are spectacular, and the walk back down is much easier. 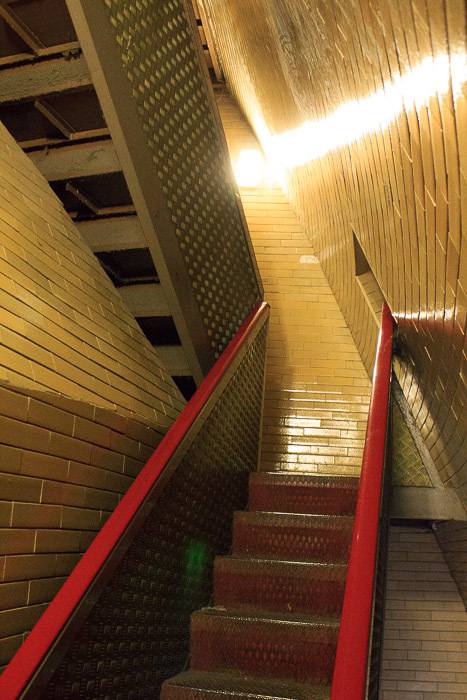 Two photos of the stairway are below.